The discus method of hand launching has now in effect replaced the older ‘javelin style’ launch, where a hand launched model glider would be launched over-arm, like a javelin would be thrown. The discus launch is far easier, more efficient and less physically demanding than the javelin launch. Although some DLG designs utilize a traditional built-up construction using balsa wood and covering film, most DLG models are generally now constructed from composite materials, in the form of Kevlar, carbon fiber and glass fiber. Fuselages are molded in Kevlar/carbon and epoxy, with wings either molded as a hollow composite shell, or vacuum bagged over a wire-cut foam core. Most DLG models use aileron, rudder and elevator control, with the ailerons also being used as camber changing flaps for different modes of flight and also as air-brakes for landing. A modern DLG model weighs approximately 9 or 10 ounces (255-283 grams) and has sophisticated aerodynamics. Many pilots use computer radio transmitters with full mixing and flight mode capabilities in order to optimize performance and set up the models for flight as near perfectly as possible. 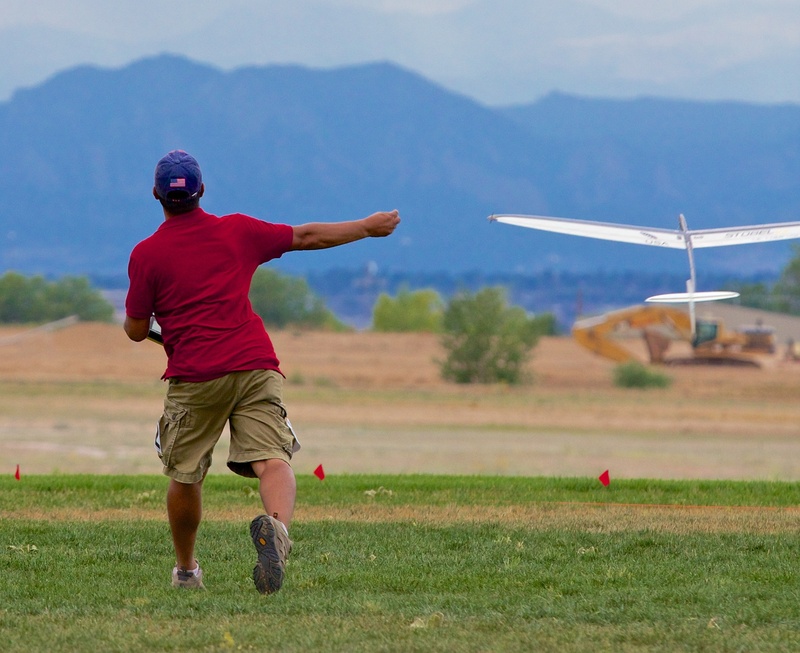 DLG models are used for both general fun/sport flying and also for contest flying. 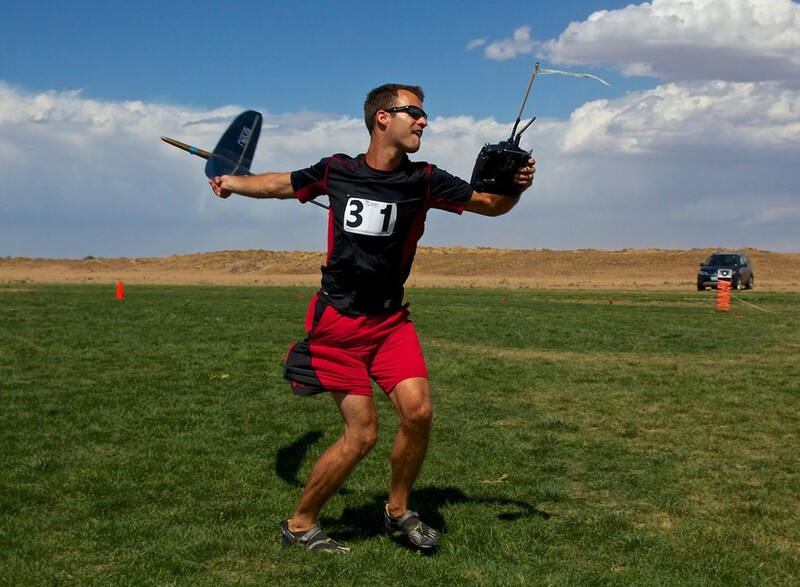 F3K is the international contest class for radio controlled, hand-launched model gliders. 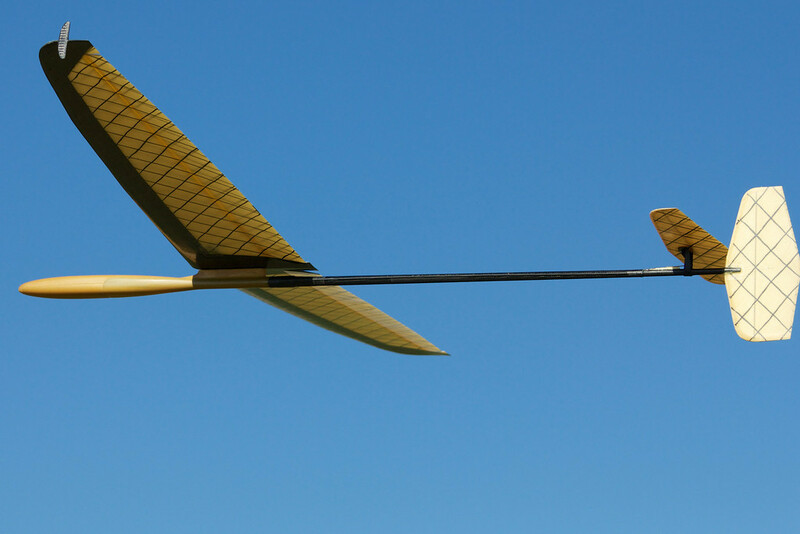 Although the roots of RC hand-launched gliders can be traced back to the late 1970s, F3K is a relatively new aeromodelling discipline, becoming officially recognized by the FAI (international body responsible for aeromodelling competition disciplines) in 2007.